Cloth being prepared for dying. 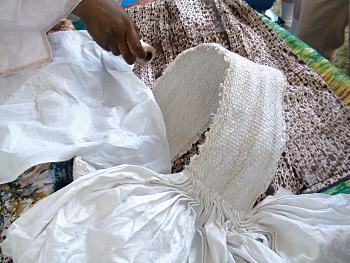 This particular technique requires the cloth to be sewn into tiny folds. The end result is the finished cloth behind it.